Oppose The Privatization & Liquidation of PHCN! 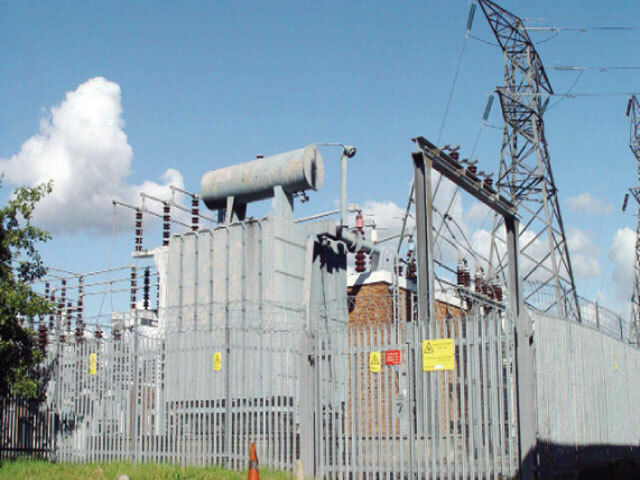 Currently, major attacks have been launched by the Goodluck regime against PHCN workers. Soldiers have taken over all the power stations, transmission stations and major PHCN offices nationwide and leaders of the power sector unions were arrested for some days and are all on the watch list. The plan is to ‘wind down’ PHCN by the first quarter of 2012. PHCN workers had embarked on a 2-day strike to protest these assaults, it was this that forced the government to release the union officers but the armed take over and other atrocities are still continuing. A major misinformation and propaganda war has also been declared on PHCN workers. Several paid adverts have been placed in major newspapers in Nigeria combined with several publications against PHCN workers. All of a sudden the victims became the accused. PHCN workers have all of a sudden become responsible for the crisis of the power sector in Nigeria. The truth about the real situation must be told to the Nigerian masses that are on the receiving end and who would inevitably suffer the consequences of these imposed draconian programmes. Currently, the sale of the power stations has commenced secretly. Several power stations, transmission stations and district offices in Nigeria have been ‘willed’ secretly to criminal gangs who have no technical capabilities and who are fronts for corrupt government officials and Nigerian ruling elites. The government is consciously undervaluing various PHCN infrastructures nationally in order to dispose them cheaply to themselves. Already tariffs have been increased and further increase would take place very soon. Private companies are being brought in to take over the revenue section of PHCN. The government has not done anything to address the question of inhuman conditions of work in PHCN till date. Casualization of labour is still in place; there are thousands of casual workers in PHCN who are placed under inhuman conditions with very low wages and no job guarantees. These workers are responsible for several important jobs from manning power stations to finding power faults to collecting revenue. Of course, a worker placed under inhuman conditions can never be of good behaviour. The 50 percent wage increase agreed to by government is yet to be implemented in spite of promises. All these and more were responsible for the PHCN workers concern and in order to implement the various anti-people programs, which the workers oppose, the Goodluck Jonathan regime decided to bring in the soldiers in order to intimidate workers and repress them. That they brought in the soldiers because of Boko Haram is a big lie. Here again, we can see that the regime is not truly interested in fighting individual terrorism. They are rather interested in exploiting it to repress the masses and cheat the people. Soldiers were brought in to safeguard the ongoing privatization and deregulation process. They are handing over the power plants and other properties to their cronies and they intend to increase power tariffs soon. These processes would lead to job losses and a more terrible power situation. Who are responsible for darkness? Over the years, the government has bombarded Nigerians with several reasons for the crisis in the power sector. Many people have been made to believe that it is the PHCN workers who are responsible for this situation. The degenerate situation led many to put the blame first on the workers, as they interact with the staff first and they don’t normally see the top management persons responsible for the situation. Many people have been duped by corrupt PHCN workers, many have outrageous bills, many don’t have electricity and when they make compliant report they never get results. The list is endless. Many so-called government experts, ‘consultants’, IMF-World Bank agents have done a lot towards confusing issues in order for people not to see the truth, which is quite glaring. No matter how much they try to confuse the issues the buck always stop at the feet of Nigerian government and elites. It is government that solely and undemocratically appoints PHCN’s top management not workers. It is members of the Nigerian ruling class that get appointed into PHCN top management boards not workers. The Nigerian power crisis was created by corruption and mismanagement of PHCN. The various top management elements appointed by the government over the years are responsible. These political appointees, on most occasions are completely bankrupt of all ideas and not qualified to be on any management. They are at times complete illiterates or have no knowledge of the situation in the power sector. They are mostly political cronies of the ruling regimes and they are members of the Nigerian ruling elites. Many have business interests that had compromised them in the first instance. The current minister for power, Nnaji, is said to be on the board of two private power companies currently bidding for PHCN units and he is said to owe banks billions of Naira. What concerns them is never how to develop the power sector but how to loot it. PHCN workers never have input to who the government nominates to head PHCN or to be part of its top management. When the top is rotten the bottom can never do better. The corruption at the bottom is a reflection of the corruption above. Trillions of Naira equivalent of billions of dollars have gone into PHCN over the years. In fact, more billions of dollars have gone in within the past 12 years since the ‘civilian’ took over power. Yet there is almost nothing to show for it. Only darkness can be guaranteed. The corruption at the top management of PHCN is quite intense and crude. This has grave consequences for the entire sector. The senate panel on the so-called independent power projects was a major eye-opener to the extreme level of corruption going on in the power sector. We have cases of thermal power stations built without provisions for gas pipes to supply fuel. We have cases of power stations built and the operating manuals were in Chinese. PHCN workers were never indicted. Those indicted remain top PHCN management, top government officials, top contractors, etc. The PHCN staff unions were even denied audience by the panel. Today, the stolen public wealth still remains in the hands of the looters and PHCN workers get blamed for the consequences of the crimes of the elite. It is the same looters who are working towards the privatization of PHCN today. They are in the forefront calling for the deregulation and sale of PHCN. A privatized PHCN and deregulated power sector would spell doom for the Nigerian working people. Already, tariff rates have gone up and are to further be increased by January 2012. All towards encouraging the private sector to come in and invest! A privatized PHCN would definitely mean many villages and town would get cut off. Worst still, deregulation would definitely not lead to paradise the way the proponent put it. It would rather throw the country backward. Today, it is a known fact that of the over 400 government corporations sold over the years, less than 10 percent has survived. The current program of privatization and deregulation of power is also bound to fail. PHCN is being broken to 18 companies and sold off. This is bound to create serious problems of coordination, as the dismembering a whole body into parts inevitably creates serious problems. Just like in the oil sector where licenses for refineries had been issued for years, but not one had been built by the so-called private sector. The so-called investors are not ready to invest a single kobo from their ill-gotten wealth on building power stations. Rather, they intend to cheaply take over the existing ones and milk it. In the short and long run the policy is bound to fail. Over the years, PHCN workers have embarked on several struggles against the terrible working conditions and wages in PHCN, even under military rule. PHCN workers are considered to be essential services workers who do not normally embark on strike, however, due to the terrible conditions the workers had on several occasions been forced to strike. The workers have remained opposed to the privatization program of the government has they have seen from experience that it is a step in the wrong direction. They know it would lead to job losses, high power tariffs, closing down of power plants and loss of pensions. However, many people are not usually ready to solidarize with PHCN workers, thinking that they are the ones responsible for the poor power situation in the country. This is far from the truth. PHCN is a very large corporation, with several power plants, transmission and distribution stations. The overwhelming majority of these workers don’t even interact with the public. Their stations are usually out of town. This kind of attitude only pays the criminals who have plundered the power sector; top government officials and government management appointees are the culprits. Unfortunately, union leaders over the years have not been forthcoming in explaining the situation in the power sector to the public. They are usually seen defending the various policies of the management of PHCN. These were the reasons why PHCN unions split under the Abacha military regime and the workers then had to set up an alternative union to champion their struggle then. A defeat for PHCN workers is a defeat for the Nigerian labour movement. The consequences of such a defeat would be grave on the Nigerian masses. It is therefore important that the Nigerian trade union movement, NLC and TUC, rally round PHCN workers in this struggle. Full working class solidarity is needed. The leadership of the NLC and TUC should mobilize the full might of Nigeria workers behind these workers and totally reject the obnoxious policies of government. The consequences of these policies would be quite grave not only on PHCN workers but on Nigerian workers as a whole. As these policies are not in the interests of the working masses of Nigeria. These policies include further increment in PHCN tariffs, sacking of thousands of workers, and liquidating PHCN. Currently, it is reported that the NLC intervened in the current faceoff and issued an ultimatum to government. This should be followed up with action and not abandoned. Committees of actions should be set up and workers should be mobilized nationally in support. In the face of a national action the regime would back down. The current crisis in the power sector cannot be solved on the basis of the existing order; there has to be a system change. Those responsible for the crisis can never offer a way forward. The only policies they have remain the policies of the IMF-World Bank, which caused the crisis. The PHCN like other government corporations have been plundered heavily over the years by the elites with no reinvestment in its infrastructure in spite of trillions of naira that was spent on it and the trillions the corporation has made. The corporation was allowed to sink, while they smile to be banks. Workers take over and democratic control of the power sector remains the only way forward. That is the nationalization of the power sector under workers' democratic control and management. Only the workers have a genuine interest in saving PHCN and providing constant power that can power growth. Workers must have a say in all levels of management and all appointed professional management personal must be approved by workers democratically. This is the only way forward. However, this can never happen except the Nigerian workers take political power. Therefore, as workers fight for their jobs, against privatization and numerous draconian policies, they must also transform their organizations and build a strong workers' party that can contest for political power.